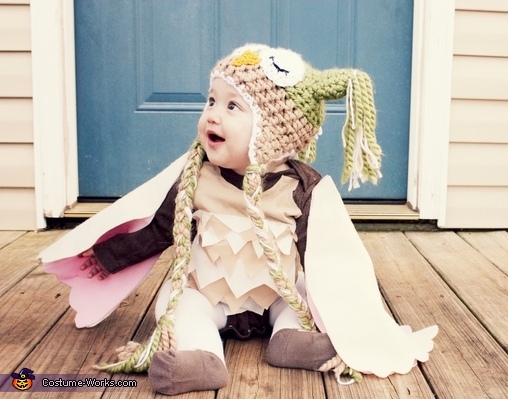 My daughter Lila is wearing a completely homemade owl costume. Her favorite animal since she was born has been the wise owl. Easy do it yourself costume turned into a unique little girls first costume!